Have you ever had that moment in a room full of professionals when you think, Wow, I am SO not qualified to be here!? I definitely have and it usually takes a fair amount of chocolate, friendly encouragement and a stroll down memory lane to remind myself that not only am I qualified, I am well-suited to what I am doing. In reality, I bring a uniqueness to the table that is all my own, something no one else can offer. As a lifestyle blogger I have second-guessed my skills on more than one occasion and I know I am not the only one. Many blogging conference sessions are categorized by niche. Whether you are a foodie, a fashionista, a designer or a technical genius, it seems like everyone is an expert. But what about those of us who write about the every day occurrences that make life what it is? Is there room for a blog like that in a world of drilled-down micro-topics? My answer to you is a resounding YES! Just like a good chat with a friend, reading a lifestyle blog really lifts my spirits as a reader. As a writer, having a community with which I can share the sweet, silly, practical, and sometimes mundane parts of my life is like therapy. The path of a Lifestyle Blogger is different than that of an expert. We may not be experts at a particular skill, but we are experts at celebrating the ordinary. And that is nothing to scoff at. The blogosphere needs balance just like any good meal. And I like to think of the lifestyle blog as a really satisfying snack. 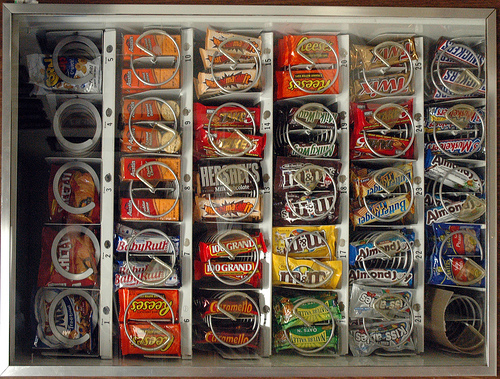 Who doesn’t love snacks? I am going to share a few tips that I have learned along the blogging highway. Do I consider myself to be successful? Why yes, I do. Do I have the biggest numbers? Absolutely not. That is not the point. What I have is a community. And rule number one of a successful lifestyle blog (or any blog) is to find your community. It could be 10 people. It could be 10,000 people. The point is, if you have an ongoing dialogue via your blog, you are successful! Remember that your blog is a snack. Just as we like to switch up our food choices, the lifestyle blogger is in a unique position to write about virtually anything! Some days you might want a veggie so you write about something serious or thought provoking. On other days you crave something salty so you might write a critique or opinion piece. And we all love the sweets! These are the adorable pictures of your kids and pets, the silly side of you or the memes you like to participate in. The snacking philosophy really brings it home for me because I no longer feel the need to compete with the “meaty” bloggers offering main dishes. We are in two totally different categories and that is not only OK, it’s pretty awesome! You may not be an expert in Photography, but you are an expert on YOU. Lifestyle blogging is personal and it should be honest. If you have chosen this style for your blog then you should be comfortable writing about your life, sharing little details with your readers and connecting with people. Putting your heart into your writing will be more fulfilling for you as the writer and more enjoyable for your readers. Does this mean you have to share every detail of your life? No! Put simply, if you are authentic and love what you do, it will come through in each and every post. Lifestyle Blogging is the opposite of dead. In fact, it will live forever! Before there were computers and the internet, there were books and stories. Before paper and pen, our ancestors would recite the tales of their ancestors to the younger generation. As humans, we are compelled to share our strengths and weaknesses, our triumphs and the hard lessons we have learned. Yes, there is room for you, Lifestyle Blogger. The question is, what is your story? 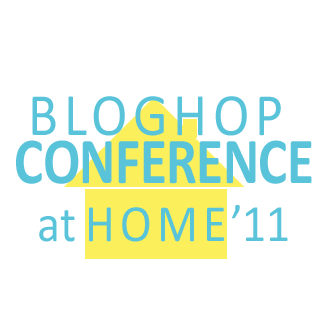 This post is part of the BlogHop Blog Conference at Home. To see the full agenda of learning sessions visit Blog Conference Newbie. Sometimes I feel like the no niche, memoir blog like I write is dead or dying. Thanks for reminding me there is a place for everything. Andrea, this is the best post. Actually, the measure your success one, too, also spoke to me today, and I so needed to hear what you had to say. As a new blogger, I sometimes wonder, “Am I doing things right?” Why did that person unlike me on Facebook or the next one, but then a new one replaced that person. Thank you so much for speaking to me today, and answering some of my questions. Fabulous post! I’ve been feeling a little discouraged about the smorgasbord over on my blog, and this is just encouragement I needed. YUM! I loved this post, and it truly made me hungry for more! Boy did I need this!!! I hope my community is out there somewhere! I am really not sure there is “room for me” anywhere, but this definitely helps my outlook! I love your analogy and your take on lifestyle blogging. I agree with you fully (and so enjoy your blog!). For what it’s worth, I absolutely LOVE reading your blog. I have a handful of favorites and I just get so excited every time another blog is posted!! Delicious indeed! I, too, am a lifestyle blogger and have had all of those self doubt thoughts. Thanks for encouraging us to share our stories! Your words are powerful! Love this! Your are an AMAZING blogger/writer. It’s funny to see your post today… because the other day, I was just remembering reading your (unwarranted, in my opinion) frustrations about not having a niche… but that’s why I’m ALWAYS drawn back to your blog!! You write SO beautifully about the every day, and it makes my day a little brighter. Always look forward to seeing a new post on my google reader. Lots of hugs!! It’s posts just like this that prove how powerful lifestyle blogging is. Your way with words and defining the “ordinary” brings me back to celebrate it with you time and time again. Couldn’t have said it better myself. I love reading real life stories and feeling what the blogger is portraying through their site. All info and no memoir feel, doesn’t seem much like a blog to me. Just like a magazine or ezine, they have multiple categories or sections because life is about more than one thing. People relate to real life blogs. WOW!! thanks a lot for this post!! I was thinking that people who blog about their everyday life, express their thoughts are not in demand. I am someone who blog only when I have something to share. For that reason I don’t and can’t schedule my posts beforehand or create a topic and keep posting on it for a month or a week because I don’t blog that way, I blog for the love of expressing myself…when I feel like it…when something strikes me…when I have successfully carried out an experiment on myself and want to share it…It never happens everyday or even for weeks….it is spontaneous!! Follow your heart’s desires. If you love what you do, continue doing it. It has always worked for me. When I find something that I am passionate about, I stick to it. I hope you’ll continue with what you are doing. I think it would be boring without lifestyle bloggers. Right on target! Now I must figure out what sort of category my blog falls in. I really appreciate your perspective on this. Sometimes I feel like my writing needs to fit into a particular category or worry that I’ll confuse readers if I suddenly delve into the harder topics or the silly ones. This made me feel like it’s okay to just be “me” and blog about whatever is happening in my life that makes an impression on me. I love this post I was struggling with becoming a fashion blogger because I didn’t want to talk about just fashion all the time, but I do love to write about well my life and this inspired me to own up to the title lifestyle blogger and it feels amazing to claim it thank you! I love this post. There are times that I see my followers and comments on the rise and then it stops but I now realize that I do have a small community that I’m always on their side and they are always on mine. Thanks for sharing your point of view because it help mine! Thanks so much for reading and sharing your thoughts. I think we all need to stick together big numbers or small. Hang in there!